Even though I was busy with projects around the house and gardening, I still read nine books in May, about average for me. However, last month the majority of them were audiobooks. Once again I am reading faster than I am writing, so I am going to use the Rapid Review format to get caught up with a quick, concise overview of what I enjoyed or didn’t enjoy plus a little about the narration if was was an audiobook. Here are two books I read early in the month, and I have a few more May rapid reviews coming later this week. We find Freida recovering from an injury she received at the conclusion of the last novel, Tuesday’s Gone. She should be relaxing and taking it easy while she heals, but that is not in Frieda’s nature and her obsession drives her to investigate this murder. Frieda is a complex, interesting character. There is plenty of suspense, good pacing and a supporting cast of equally complex and sometimes quirky characters. This is the third book in the series which continues to remain fresh and strong. The background story and relationships between the characters carry through from the previous novels, Blue Monday and Tuesday’s Gone. While it’s not absolutely necessary to have read the first two books to enjoy the murder mystery, I recommend beginning with the first book to fully appreciate the connections between the characters. Pertinent background information is provided for the reader, but be warned, they are spoilers for the first two novels. The narration was performed by Beth Chalmers, who also read the first two books in the series. As previously, she did an excellent job with the accents, and I especially enjoyed her voice for Josef, Frieda’s handyman. The significant number of characters requires the listener to pay attention to detail, but it was not difficult to follow the story. 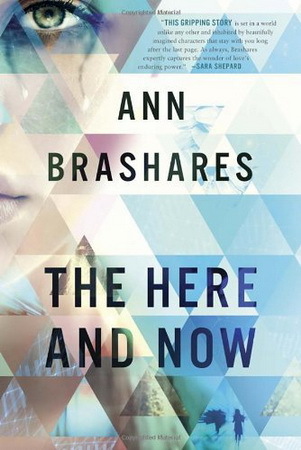 I don’t know if it was the time-travel, or the premise of the story, but I enjoyed this one a lot more than many of the other reviews I’ve read. Yes, events did come together a little too conveniently, Prenna was often an unbelievable character, and the myriad of “society rules” imposed on Prenna and the other members of her community would never be obeyed in the real world; however, I was able to put enough of that aside to enjoy the book. By viewing this as a children’s book, as it is being marketed, and not a YA book, the simplicity of the story was more palatable. Although the storyline came to a conclusion, the ending was open enough to see a possible sequel in the future. And yes, I would like to read it. Source: Review copies provided by the publishers. I really want to try French’s work! Very nice mini reviews, Leslie! 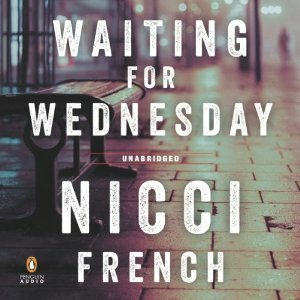 I have a Nicci French book in my TBR stacks. Hopefully, I will read that this summer. I too enjoyed the Hear and Now. I hope to start the Nicci French series soon!